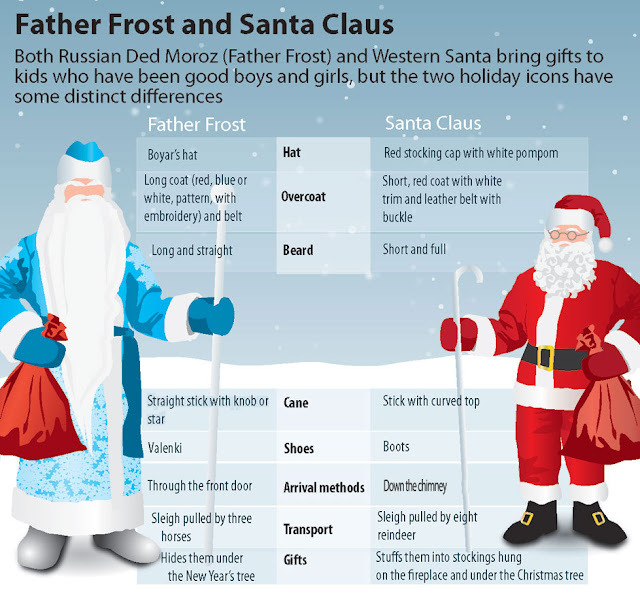 ABC Russian: Do you know the difference between Ded Moroz and Santa Claus? Do you know the difference between Ded Moroz and Santa Claus? There is no Santa Claus in Russia. In Russia we have very very kind Grandfather Frost or Дедушка Мороз. Мороз - this is his name.